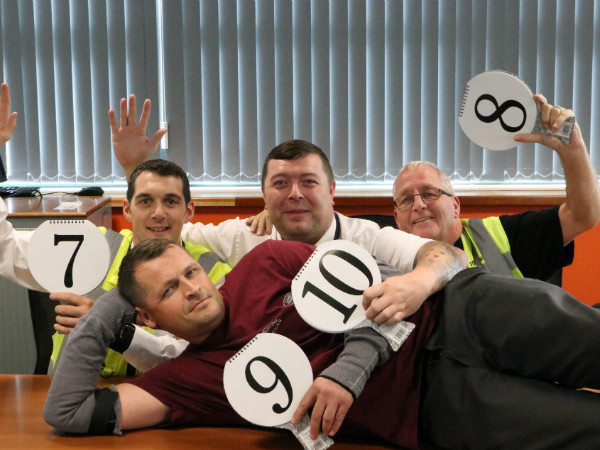 They’re back…It’s time to Rate your Mate! Now in its fourth year, the Halewood Excellence Awards gives everyone at Halewood the chance to nominate a team or individual for any outstanding contributions they have made to the JLR business. These awards are for everyone, from salaried and hourly employees to agency workers and contractors. That’s why we are calling on you to “rate your mate” and nominate anyone you think has made a real difference at Halewood. Let’s get them the formal recognition they deserve! The award ceremony takes place on Friday 1 March and nominations will be categorised by the Manufacturing Scorecard Pillars and the new Customer First Principles. How do I nominate? Nomination forms are available in all People Centres. These forms can be posted in the red post boxes, found in the People Centre, or can be taken direct to HR. Nominations are open from now until Friday 30 November 2018. You can also nominate online at bit.ly/HalewoodExcellence.